Bartlett On Bass: OREO Update: Cookie or Creme?? 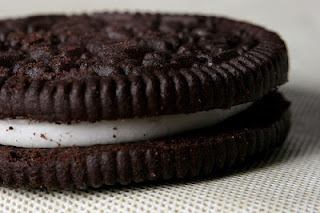 It's a basic human desire to separate an OREO cookie. Humans love either cookie or creme. And sometimes a man just needs to invent a machine to do the hard work of separating the two. Today, that man is physicist and cookie-part preferrer David Neevel. Watch him operate the machine he created that separates OREO cookies.